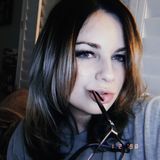 Want to connect with Brooke? My name is Brooke and I have a very strong passion for animals. I am in the princess if starting my own business as well. I have experience with farm animals, house pets, reptiles, rodents, anything! Pet Sitter in Casa Grande, AZ and surrounding areas.